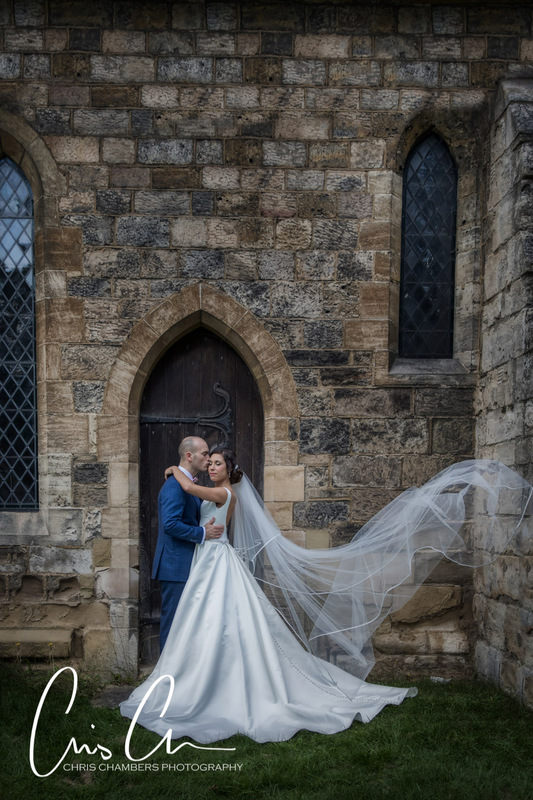 Following Marc and Sara’s recent pre-wedding shoot It was good to catch up with them again on their wedding day. 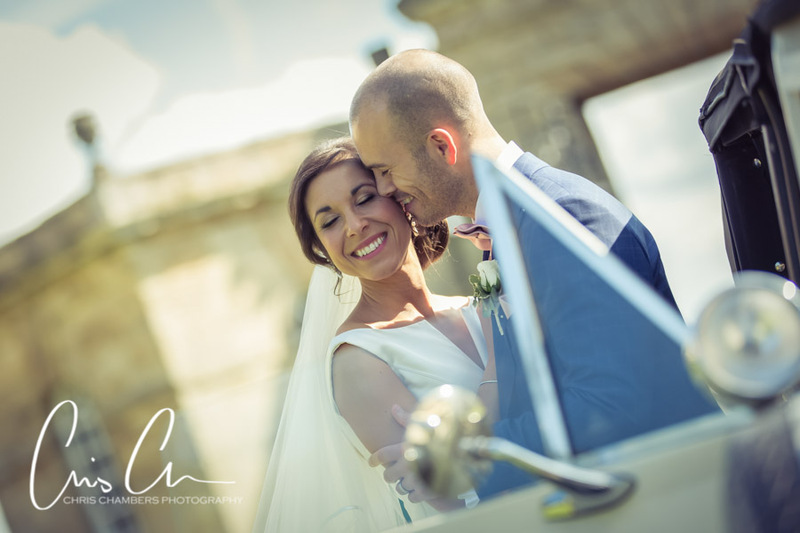 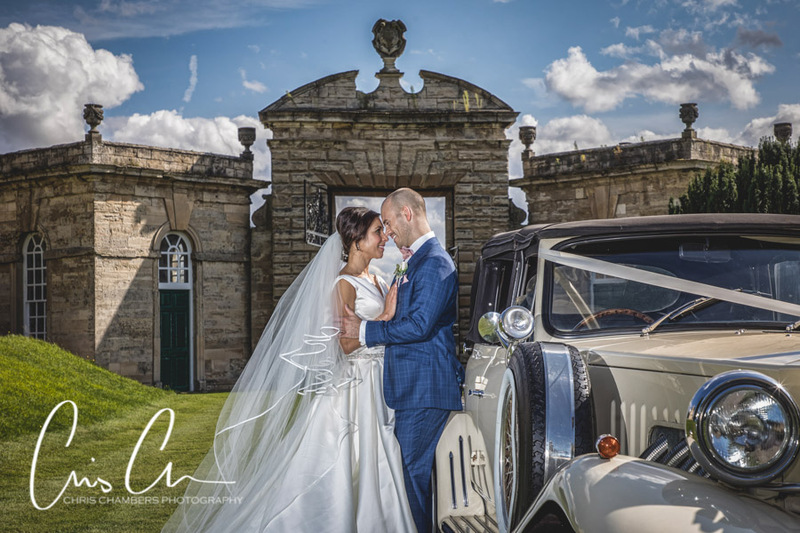 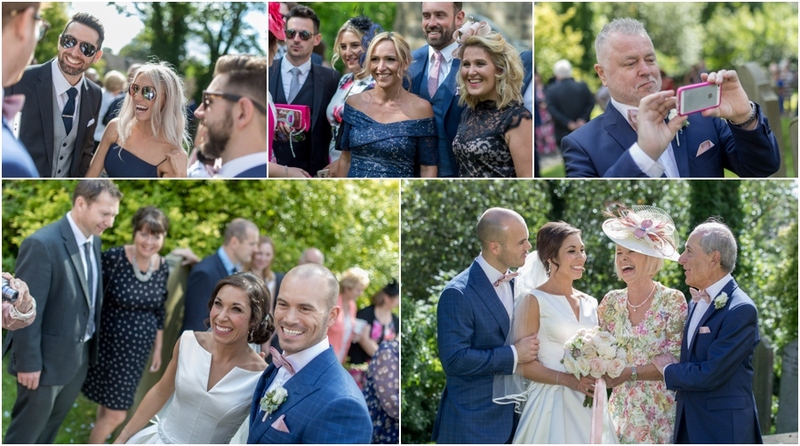 The weather on the pre-shoot had been bright, warm and sunny and it looked like the wedding day would benefit from the same fortuitous weather with high temperatures and clear skies forecast. 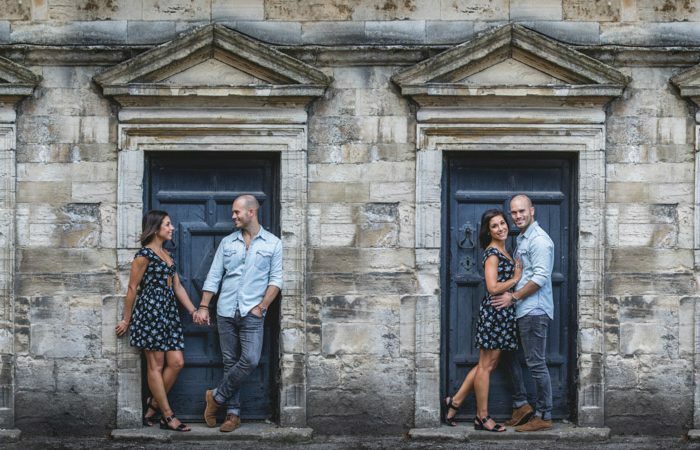 Perfect for their wedding and wedding photographs. 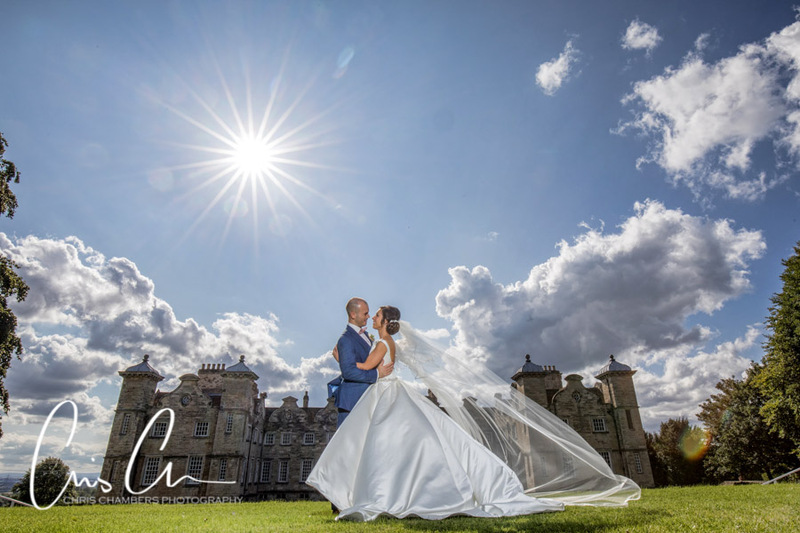 I know a lot of wedding photographers don’t enjoy photographing in bright sunny weather but for me the bright weather presents an opportunity to be come creative with the lighting and images and if worked correctly can deliver amazing results, hopefully you’ll agree as you scroll down to the wedding photos below. 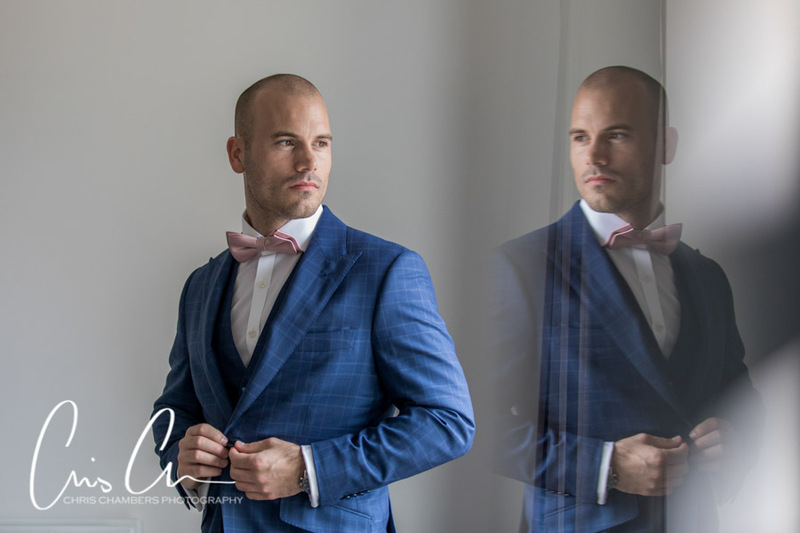 Our day began with groom preparation photos as we joined Marc and the groomsmen as they prepared and finished dressing for the wedding. 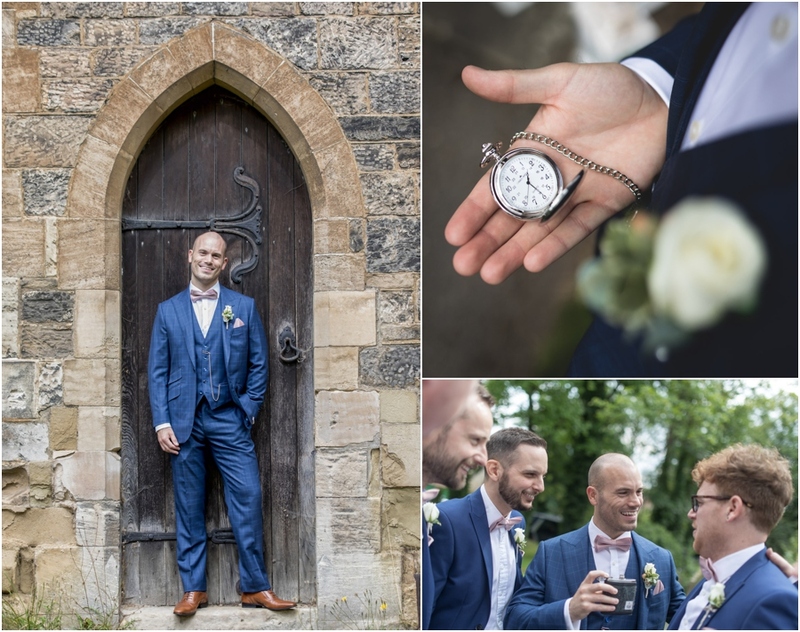 Jeffery West Shoes and a Michelsberg tailored suit was the order of the day and great that Marc had gone with my recommendation and two of our favourite brands. 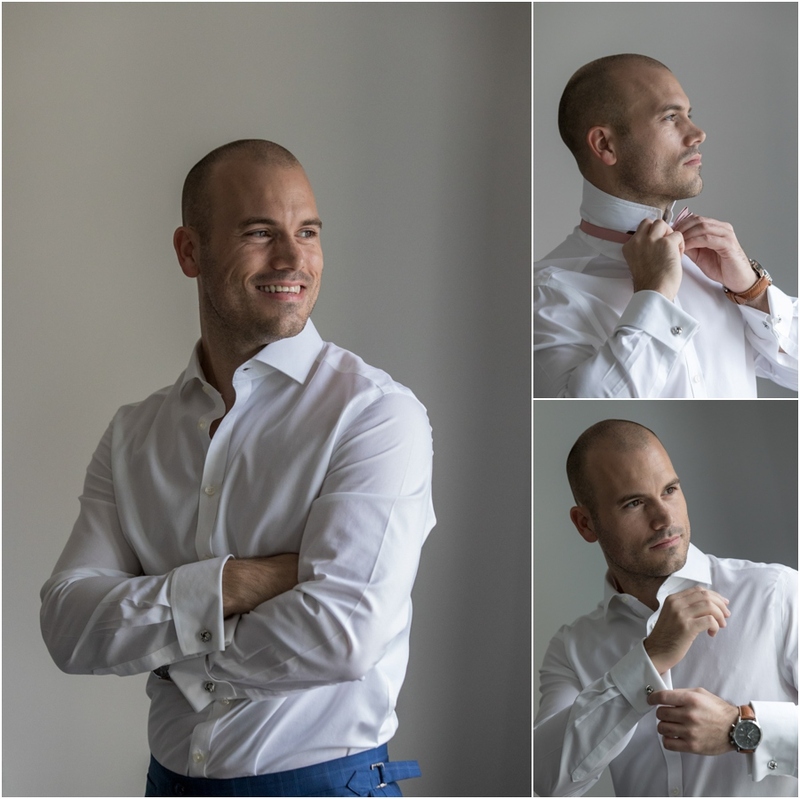 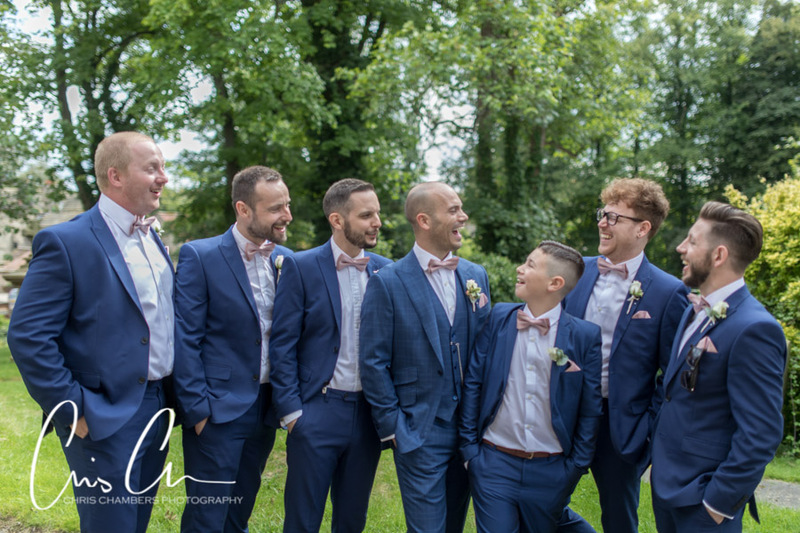 Preparation photos with the groom and groomsmen are available with our Exclusive Storybook albums and allows us to capture great images of the guys before they leave for the wedding. 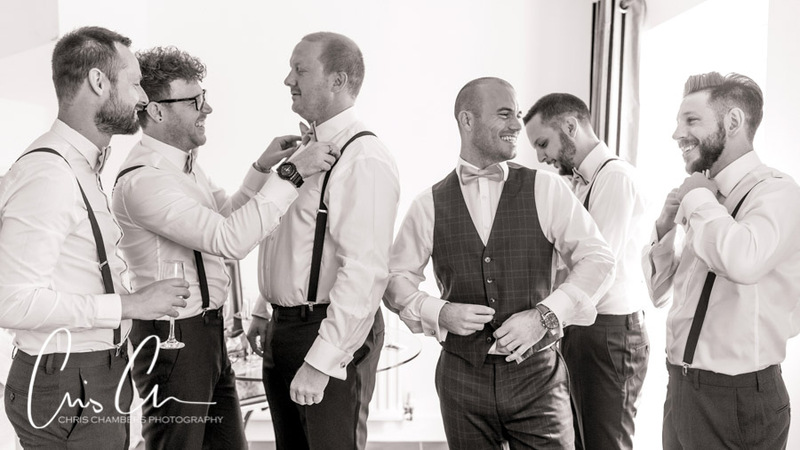 With the groom preparation photographs complete we headed over to join Sara at her parents house a short journey away. 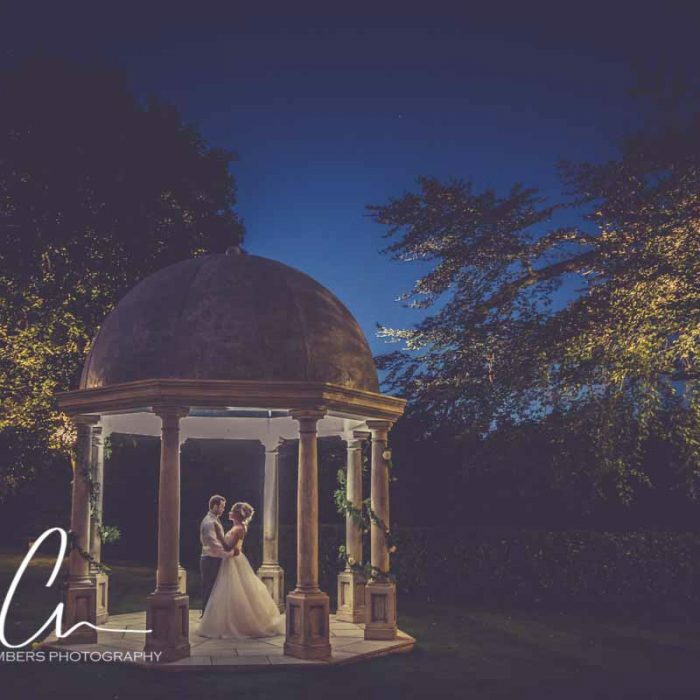 As well as the location for Sara’s wedding day preparations, the wedding celebrations were also to be held here with a large marquee in the rear garden of the house. 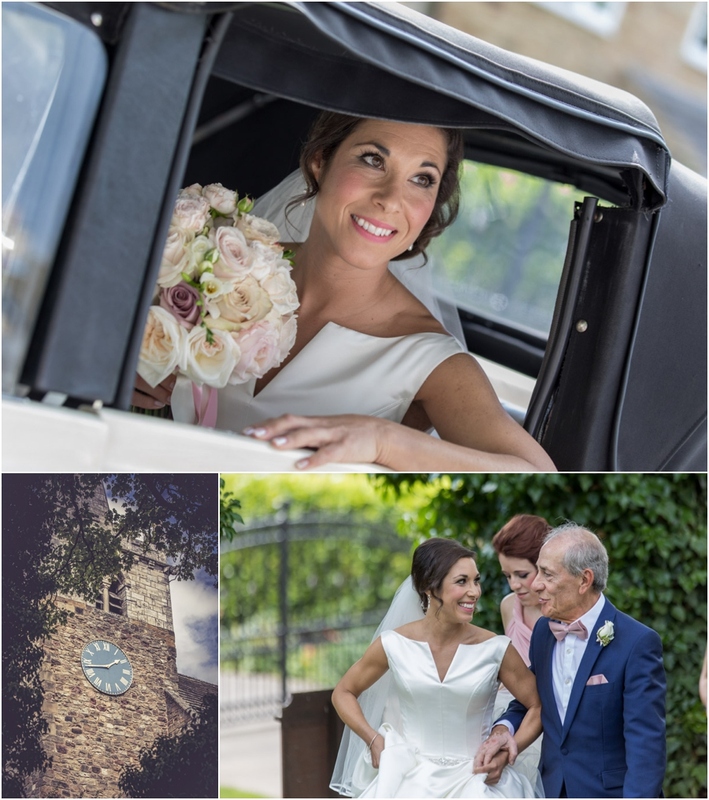 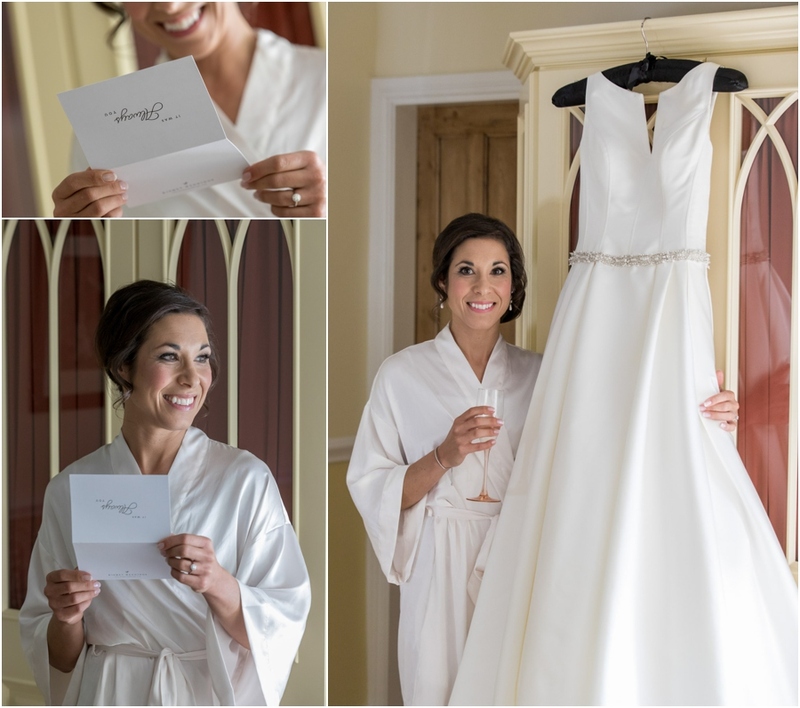 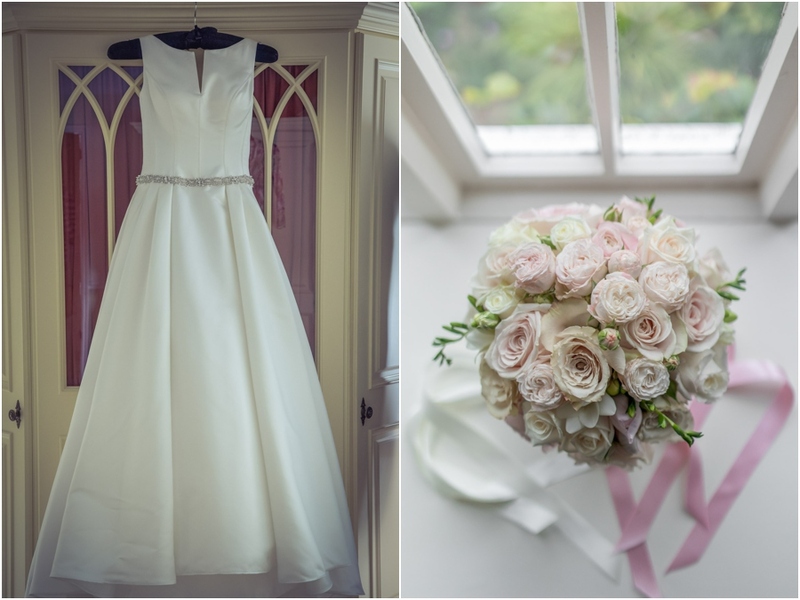 Sara was in high spirits and her wedding day preparations were well underway as we joined her which meant we had plenty to photograph as well as the bridal details such as Sara’s stunning wedding dress, flowers and other items. 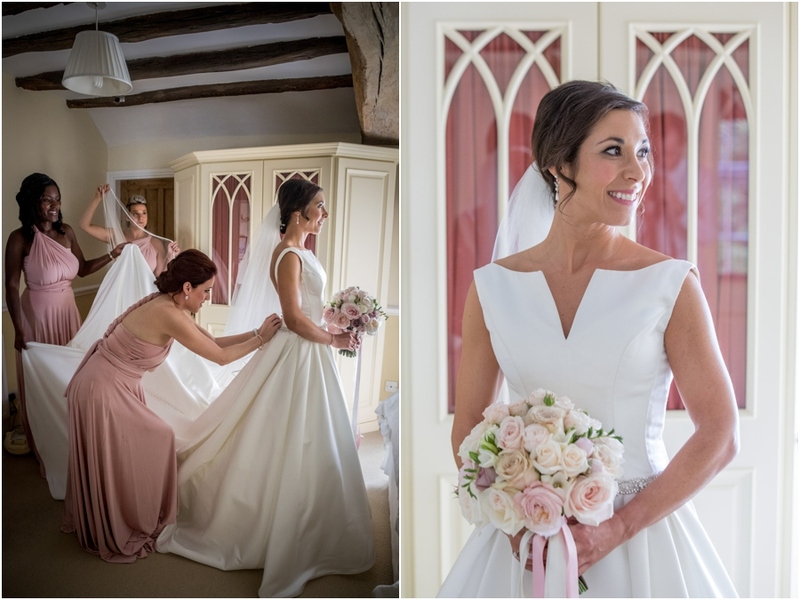 Following make up photographs it was time for Sara to dress and an opportunity for us to steal a glimpse inside the amazing marquee provided by Coopers. 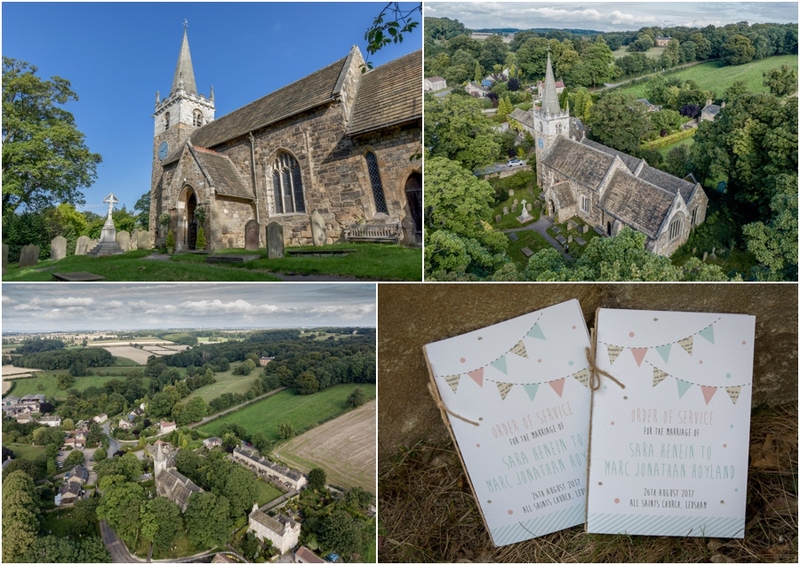 The wedding ceremony took place at the nearby All Saints Church in the small village of Ledsham. 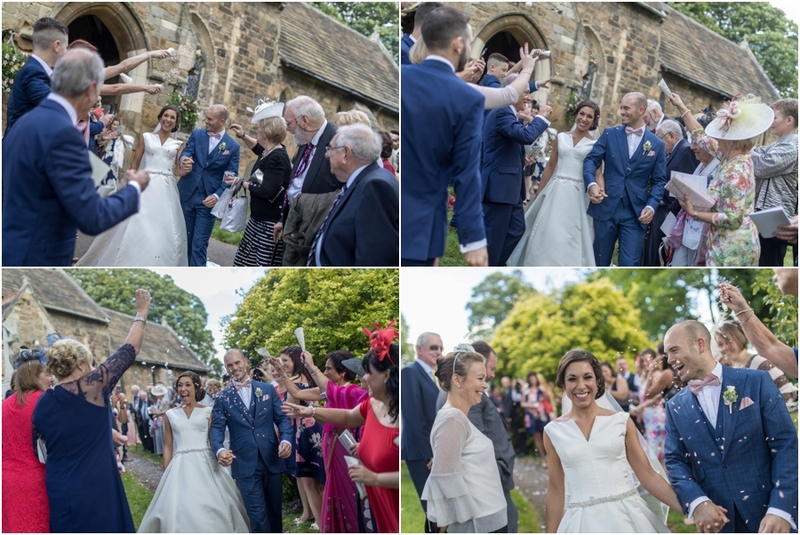 Arriving at church in good time allowed us to photograph the wedding guests and also some more photos of Marc and the guys before Sara’s arrival planned arrival at 1.30. 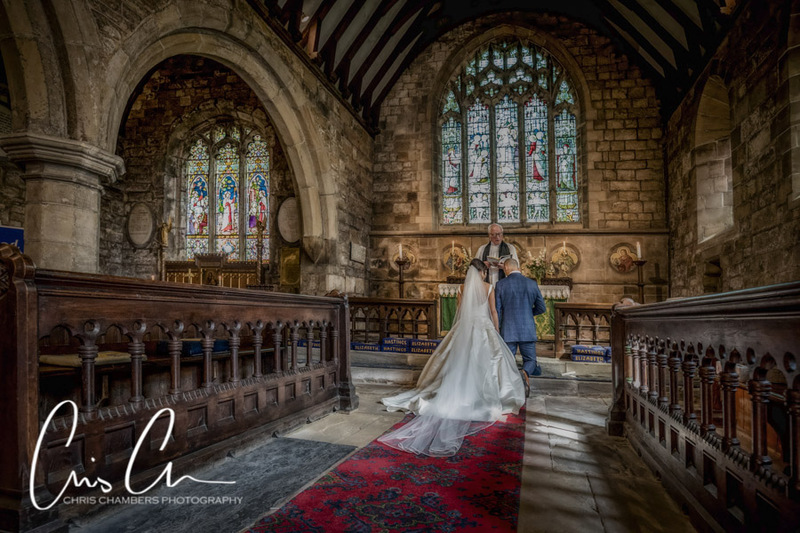 A friendly vicar allowed us the opportunity to photograph the ceremony from both the front and back of the church and so meant we were able to photograph more of the wedding ceremony, the dark wood interior of All Saints Ledsham working really well as a contrast against the bright sun coming through the windows. 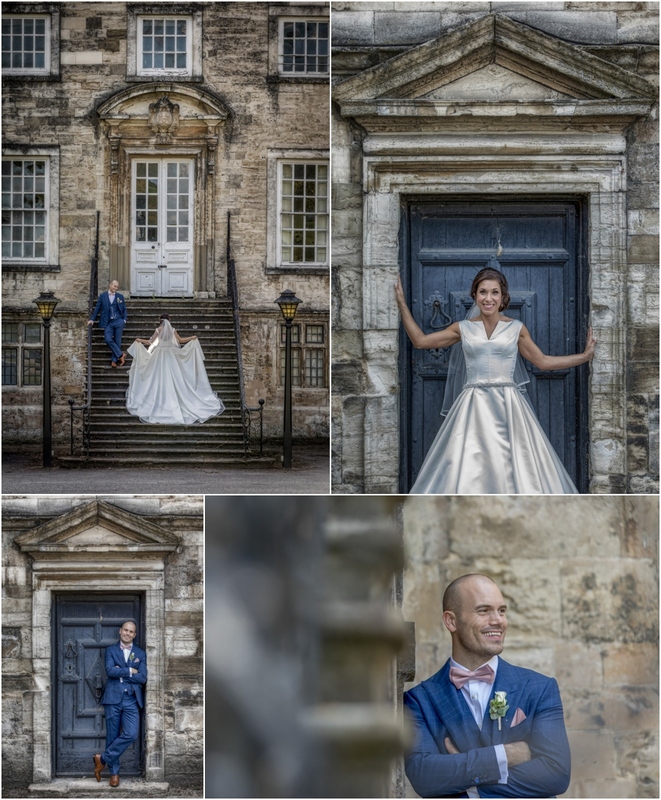 Following the wedding ceremony and a few quick formal images outside church we had a window of time to take the photographs of Marc and Sara before we joined the rest of the guests back at Sara’s parents home. 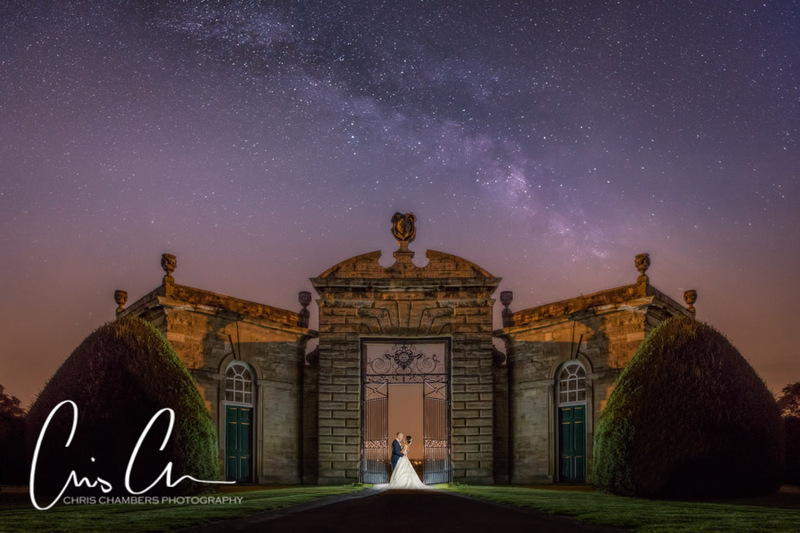 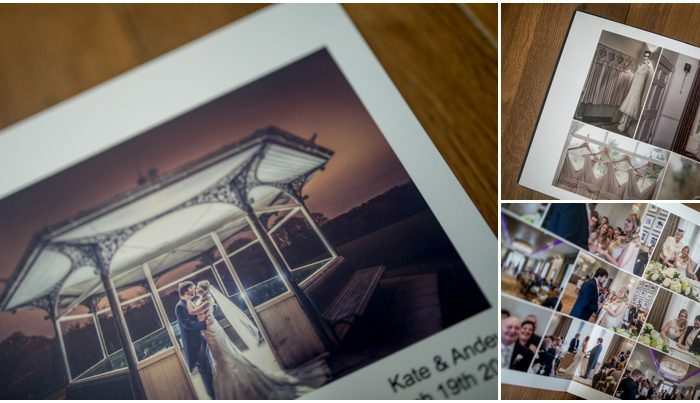 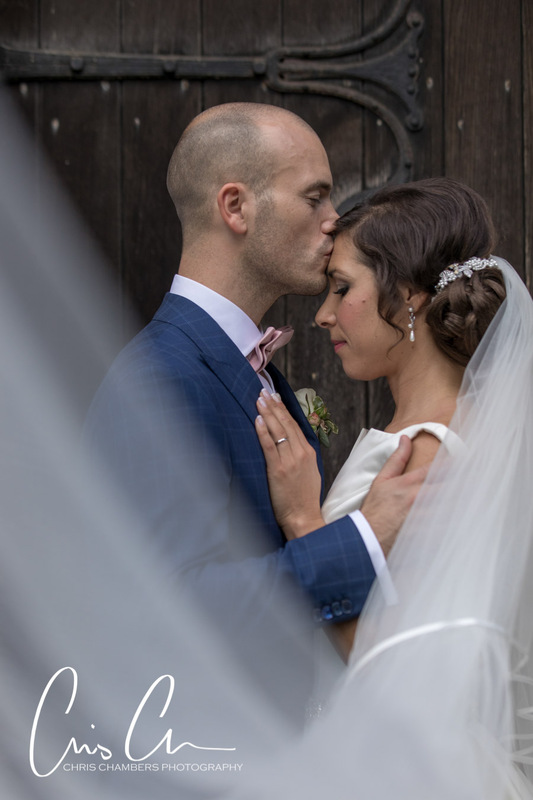 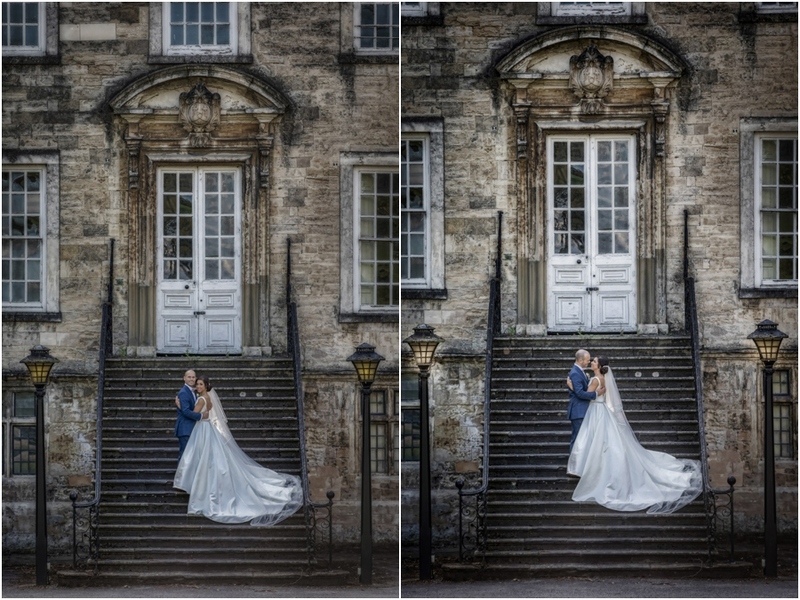 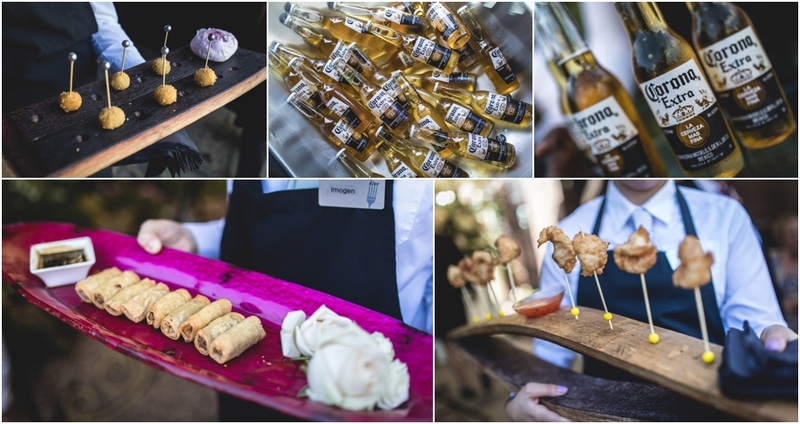 The pre-wedding shoot had allowed us to plan in a number of locations and given me some ideas for photographs so we were able to maximise the time and ensure our bride and groom were able to spend time with their wedding guests. 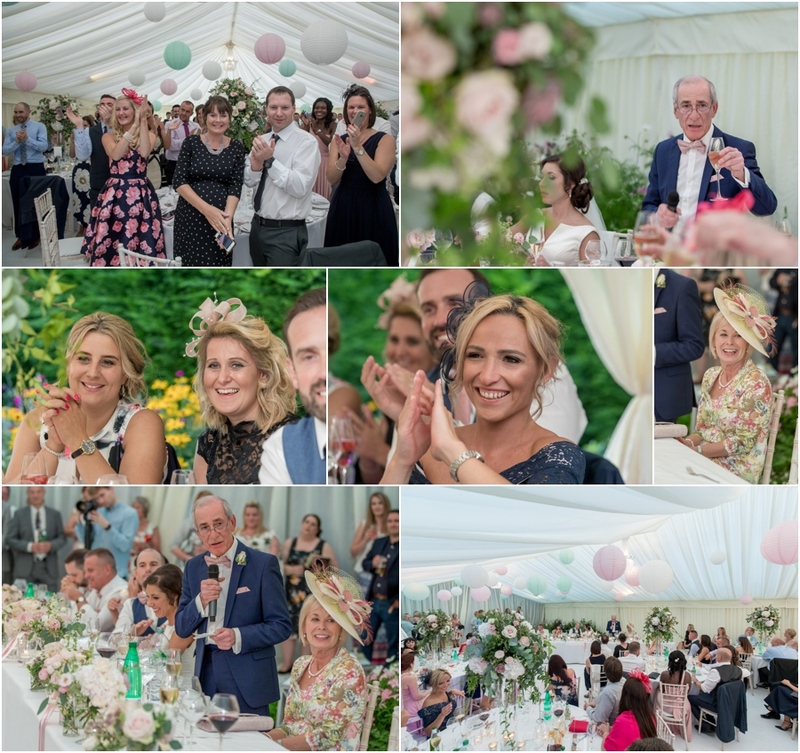 The wedding marquee was custom designed and planned to fit in with the landscaping of the garden allowing exposed flower beds and features to be incorporated into the layout and making it one of the best wedding marquees we have ever photographed. 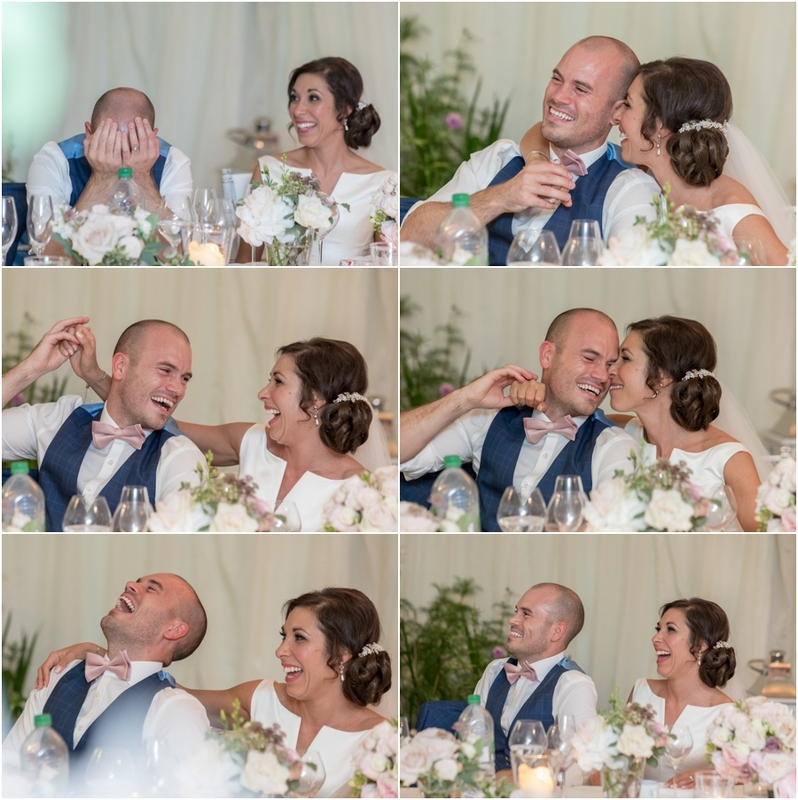 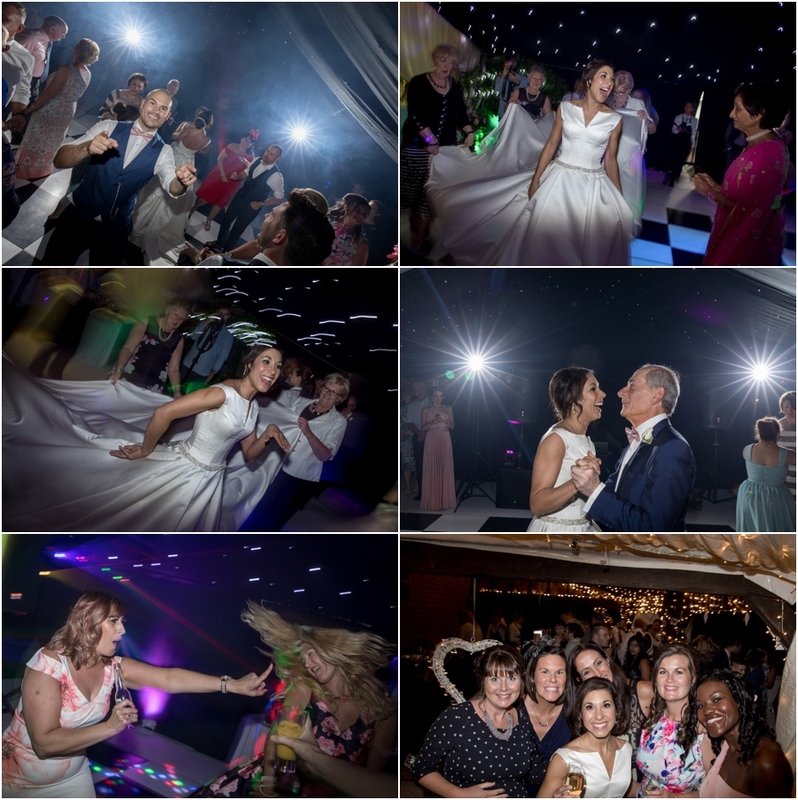 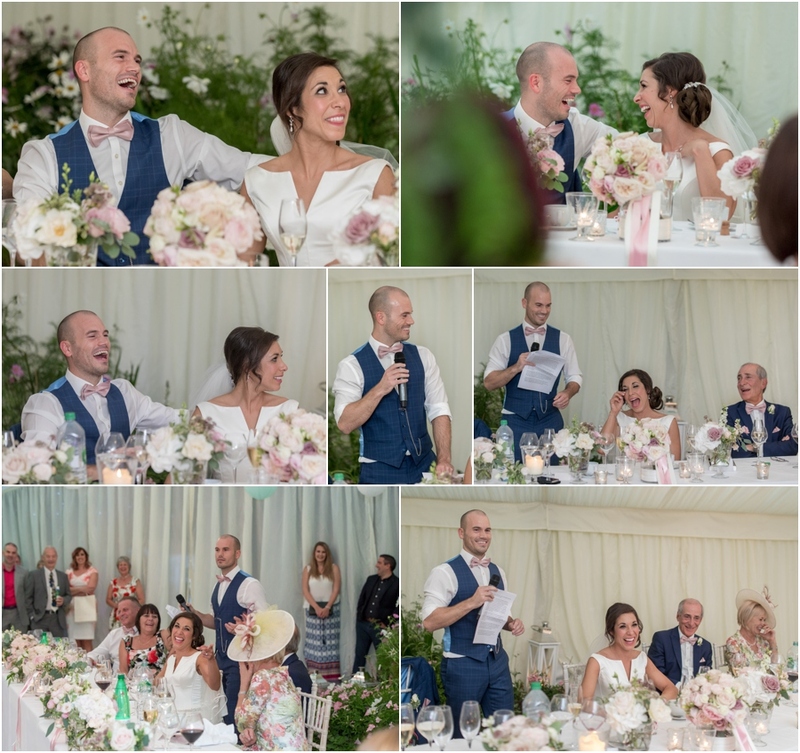 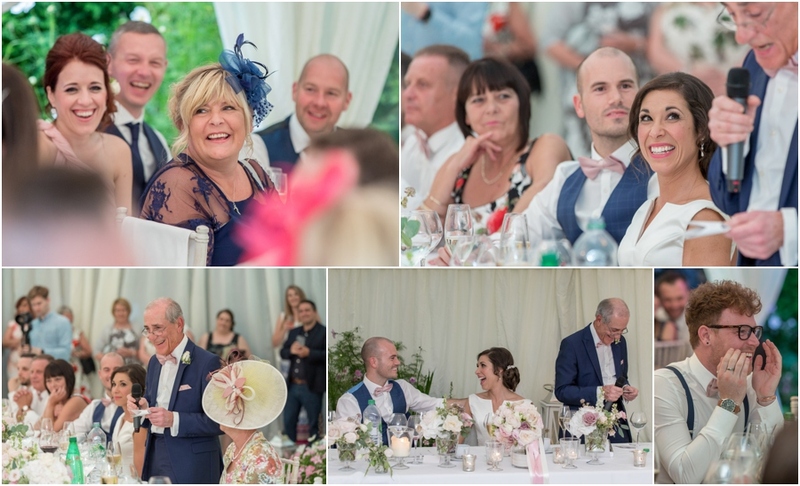 The bride interior also helped with the photographs of the speeches before the dance floor and darker portion were revealed ready for the first dance and evening celebrations. 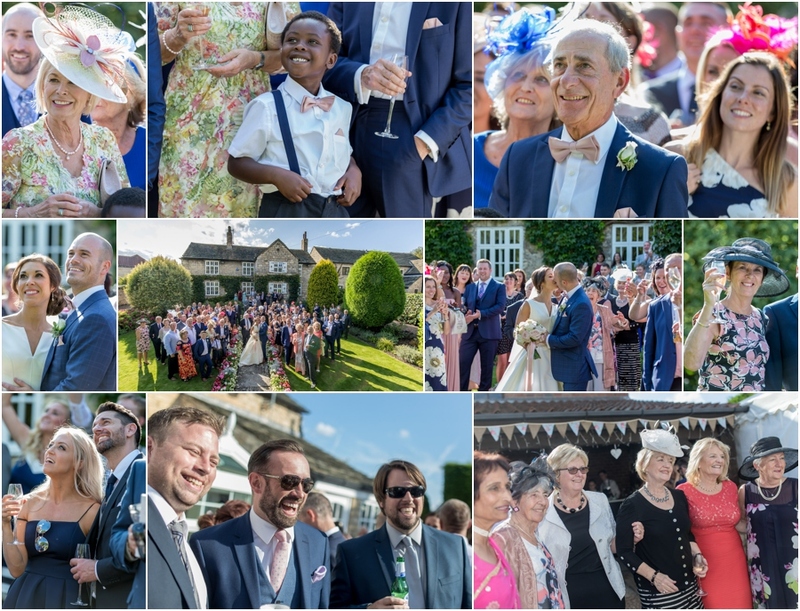 For the evening reception a large screen had been placed on the wll behind the bar to display our slideshow and same day edit, allowing Sara, Marc and their guests a sneak peak at a number of edited wedding photos. 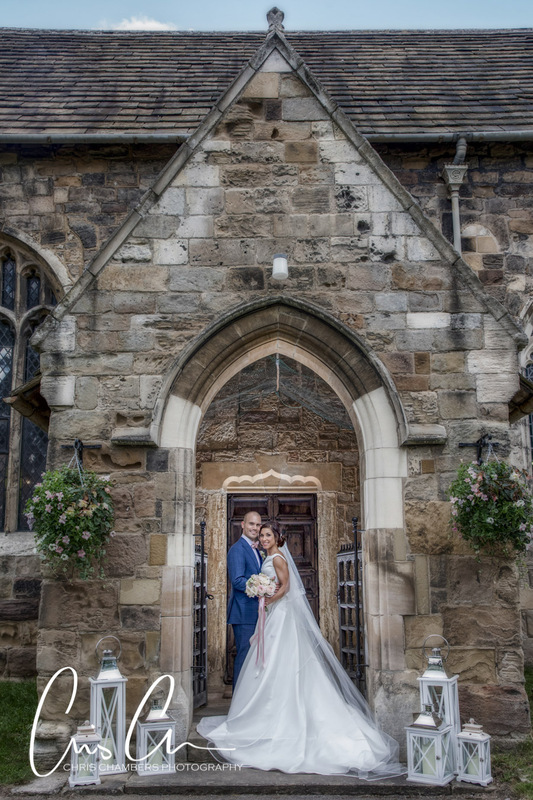 The wedding ceremony took place at All Saints Church in the village of Ledsham close to Leeds. 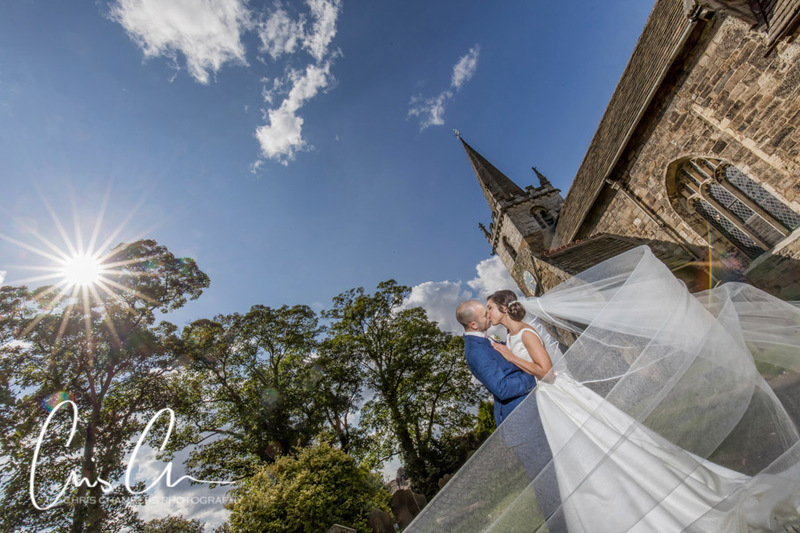 Although small grounds around All Saints at Ledsham, there were plenty of photo opportunities for wedding photographs of the bride and groom. 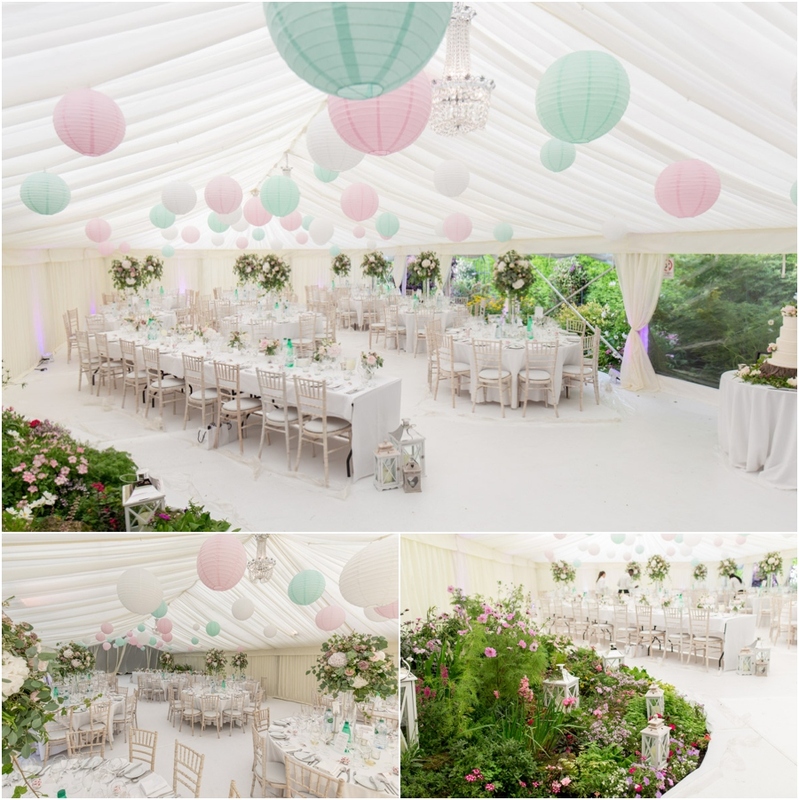 The amazing wedding marquee designed to fit onto and around the rear lawn and flower beds of Sara’s parents home. 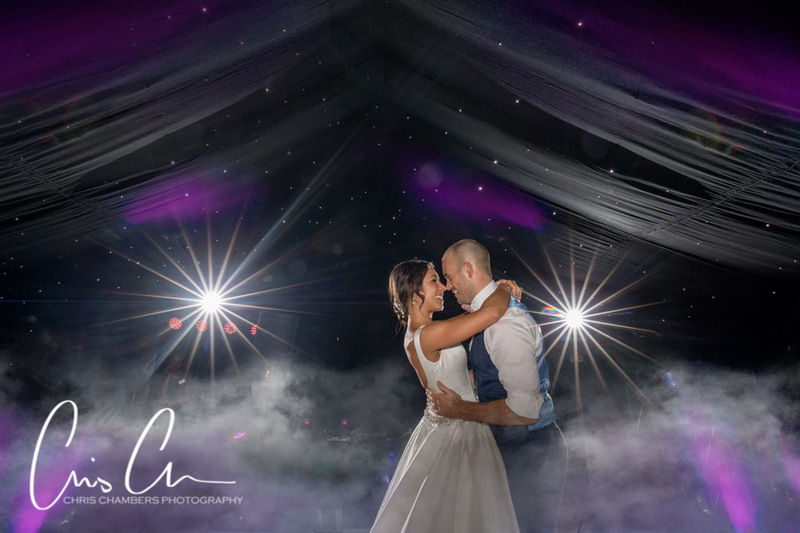 First Dance in the darker portion of the marquee. 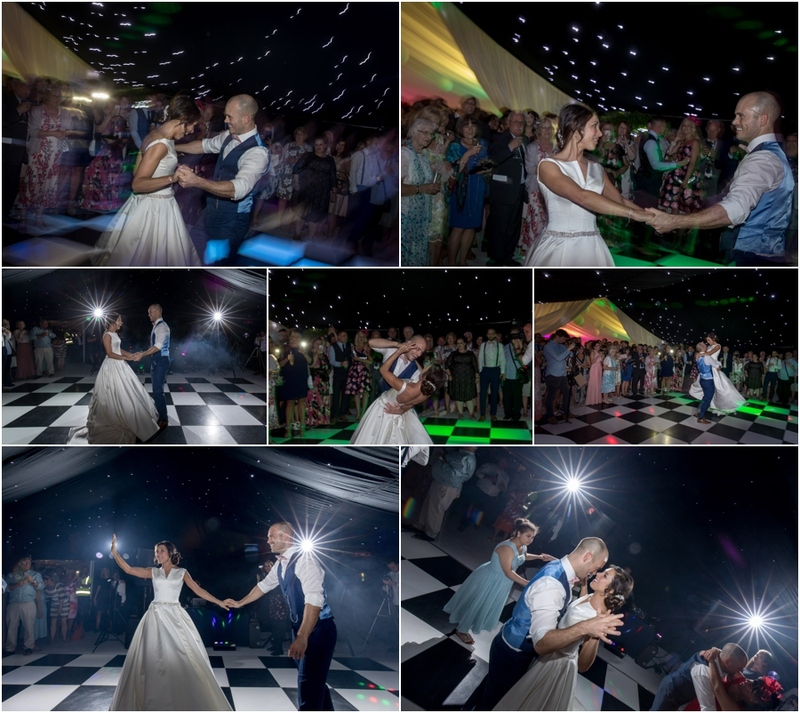 the DJ smoke and some extra flashes helped me create one of my favourite first dance wedding photographs of the year. 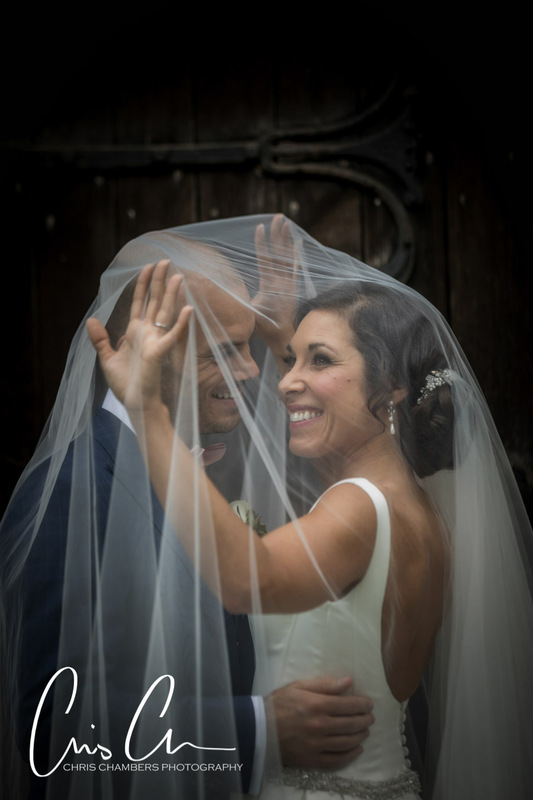 Well into the evening celebrations we slipped away with Sara and Marc. 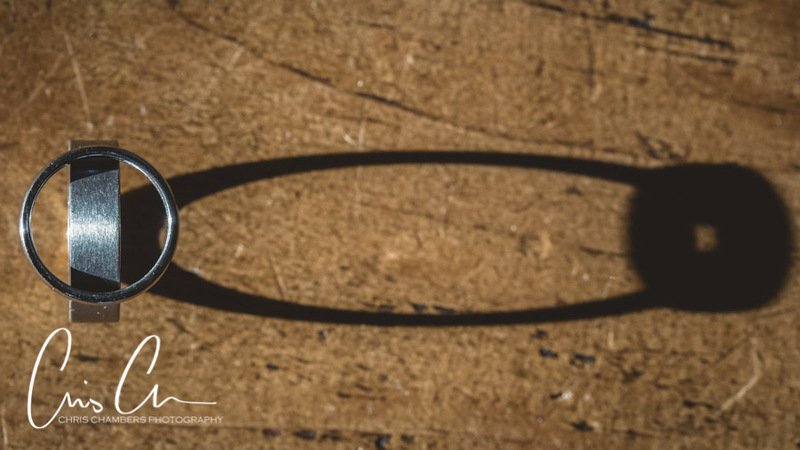 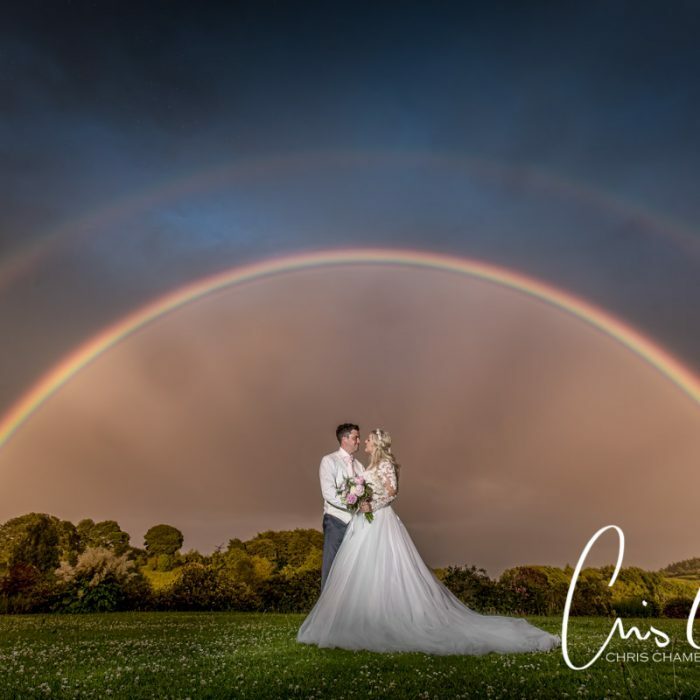 From the days photography session I had a final image in mind and so with the help of multiple flashes we created the award winning wedding photograph below.